Canada's broadcast regulator plans to scrap a fund financed by cable companies and used by television stations to support local programming, a move that some say will take a toll on smaller markets. The CRTC plans to phase out the Local Programming Improvement Fund by the end of August 2014. 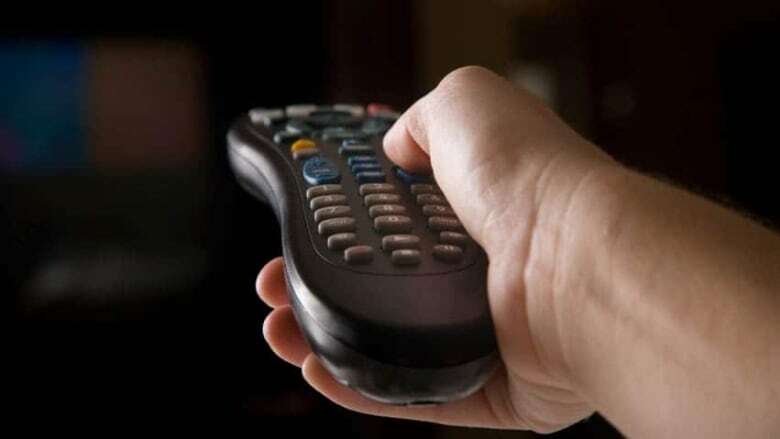 In 2008, the CRTC created the fund to help television broadcasters in non-metropolitan markets maintain and improve local programming during the recession, as they were incurring significant costs in making the transition to digital television. "We are satisfied with the support it has provided during a difficult economic period." Starting in 2008, cable and satellite firms were ordered to pay into the $100-million fund to protect Canadian content during the economic slowdown. Some cable and satellite firms, in turn, passed the charge on to customers, drawing complaints from many Canadians. In 2010, 78 stations received money from the fund, which is worth $100 million. In 2011, 80 stations received $106 million in funding. Among the numerous stations receiving support are those in Dawson Creek, B.C., Lethbridge, Alta, Portage La Prairie, Man., Peterborough, Ont., and Rivière-du-Loup, Que. The CRTC's rationale for scrapping the fund is that the advertising and media landscape has recovered enough to survive without the fund, and that companies must stop passing the cost on to Canadians. Elizabeth Duncan, the commissioner for the Atlantic region and Nunavut, said there is a lack of evidence that the viewing needs of Canadians living in small centres were being met, and she said eliminating the fund would be "premature." National commissioner Louise Poirier said she would have preferred that contribution rates be lowered, but that the fund continue. Quebec commissioner Suzanne Lamarre said the decision was made "without regard for the commission's obligations under the Official Languages Act or the objectives of the broadcasting policy for Canada." "The CRTC is confident that these stations will maintain the same quality of programming without support from the fund," the regulator stated in a release. The CRTC now says those companies have until Sept. 17 to outline what steps they will take to ensure that customers' bills decrease by a corresponding amount, as the fund is slowly phased out before being stopped entirely in 2014. "They must also provide evidence that consumers have been notified or that they were never required to pay the contribution," the CRTC said in a release. The companies who passed on the charge have until fall to figure out how to remove the related fee from customer's bills, which likely works out to about one dollar per month for most cable and satellite subscribers. Bell estimated that customers who pay a monthly charge of $45.10, for instance, currently pay 67 cents toward the fund monthly. President and CEO of CBC/Radio-Canada Hubert T. Lacroix said the elimination of the fund will pose a major challenge for the public broadcaster. "There's no question that this will negatively impact local television programming in smaller markets," he said. The public broadcaster has drawn over $40 million annually from the fund, which it says it uses to improve service for viewers in small markets. Many stations supported by the fund are located in official-language minority communities. "For us, it will mean adjustments in terms of level of service, how we deliver service and the territory that our journalists can cover," he said. NDP deputy heritage critic Andrew Cash said the cuts to local programming will be another blow to the CBC following the recent federal budget, which will see $115 million cut from the broadcaster's funding over three years. "It's a major blow," Cash said in an interview. "And you've got to put it in the context of some of the other issues that have affected broadcasting." Lacroix pointed out that local television is a priority under the Broadcasting Act, adding that the fund was a great success. "Improving local service is one of the corporation's top priorities. This decision doesn't change that, but it does present a major challenge that could limit our local television activities and our presence in those communities." Lacroix argued that the decision is sure to reverse many of the local programming improvements that the fund achieved. "The rationale that led to the LPIF's creation still exists today," he said, arguing that in two years, "we'll be back to where we started when the CRTC decided to create the fund." Likewise, Bell Media calls the decision "a major concern," noting that conventional television is still under tremendous financial pressure. Bell executives have warned recently that the future of at least six of the company's smaller stations could be at risk if the local programming subsidy shrinks. Vice-president and chief legal and regulatory officer Mirko Bibic said Bell and Bell Media will have to assess the financial impact of the change. "There's no doubt … that local stations in small and medium-sized markets will receive significantly less revenue," he stated. This story has been updated to acknowledge the impact of the removal of the local programming improvement fund on CBC programming.